Expert advice to help you understand and mold your dog into a life-long family friend. The first weeks are a fleeting, precious time during which you establish pack order and shape behavior and habits. Doggie Dancing or Musical Canine Freestyle? Within the participants of this entertaining yet demanding sport, there is a wide variance in opinion of what it should be called. As discussion of making this an Olympic event continues, the debate of the importance of the descriptive name intensifies. Some media coverage have used "dogs dancing" to headline and describe the sport in their coverage. "Doggie Dancing" is considered by some to be too frivolous and demeaning. They believe that the name underplays the intense dog training and choreography of the routines and ignores the dedication to promote a sport that did not exist 15 years ago. 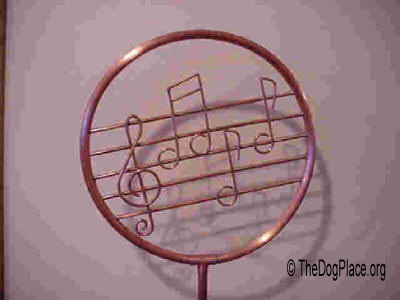 Musical Canine frivolous more correctly defines the sport while recognizing the dignity, skill, and unique bond created between the handlers and dogs. From the first exposure to this sport ( which often results from seeing Carolyn Scott and Rookie perform their routine "You're the one that I want" from the movie Grease (http://landofpuregold.com) As you go to the site now, to watch the routine again, be sure to check for the raffles and other fund raising activities which help to pay for a documentary film that is being filmed. While watching this routine, observe the intricacies of it and the subtleties of masterful dog training. Rookie knows the movements required and thoroughly enjoys performing them, with his handler. 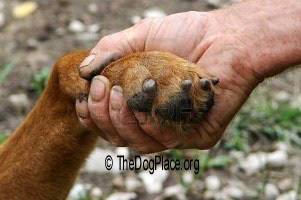 The movements of the dog and handler are matched to the music, both in rhythm and in lyrics. The music is perfectly matched to the dog's natural movement. Carolyn Scott's "costume" is an approximation of Olivia Newton Johns character in the movie. These are only a handful of the observations that can be made of such a "magic" performance. "Doggie Dancing" trivializes it. To be able to "feel the relationship between this team, is to begin to understand why the name is offensive to some. The breed of dog, its size, and its personality are as important as the life experiences of the handler, as the dog is the star in this team. When a team performs their routine to a level that brings its audience to tears, "Magic" has been achieved! When it is immortalized on video tape, we can all share that moment! For now, "Doggie Dancing" or Musical Canine Freestyle, call it whatever pleases you but don't underestimate the drive, determination, training, and creativity that is making it possible. Enjoy the result, and applaud the relationship between the dog and handler teams. 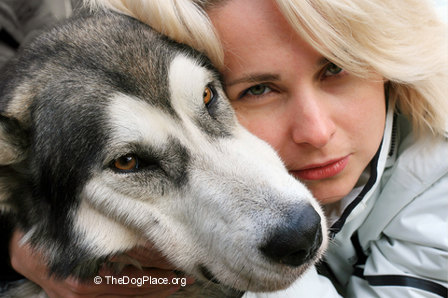 Handlers and dog owners live longer with healthy lifestyle choices.